Despite the adversarial political climate that divides so many Americans, there are some topics that most people can agree on regardless of politics. One of those is that early detection and screening for cervical cancer and breast cancer are important initiatives that should be supported because early detection leads to earlier treatment which, in turn, saves lives. While many women have such exams paid for by their health care insurance, those without insurance often rely on funding from non-profit organizations to fund these types of early clinical, screening, and diagnostic exams. Problems emerge, however, when one of these health care organizations takes a position on a topic as controversial as abortion, either pro or con. For example, Planned Parenthood is a non-profit organization that relies heavily on donors to fund women’s healthcare services, which includes clinical breast exams and mammograms. However, the organization also conducts about 300,000 abortions a year and lobbies for pro-abortion legislation. In doing so, Planned Parenthood intertwines funding for activities that almost everyone would support (breast exams) with funding for an activity (abortions) that deeply divides Americans. When this happens, such an organization can expect to be the target of people who have strong opposing views on abortion. This is exactly what has happened to Planned Parenthood, as they have been frequently audited and targeted for defunding by Congressional Republicans. Most recently, the largest breast cancer organization in the U.S. (Susan G. Komen for the Cure) decided to cut its funding to Planned Parenthood. Although the money donated from Susan G. Komen was for clinical breast exams and mammograms, Republicans criticized the group for supporting a group that supported abortions. Susan G. Komen claimed that the reason for their decision was because they developed a new rule prohibiting donations to organizations that are under congressional investigation. However, critics claim that this is a contrived excuse, especially since it only affected funding of Planned Parenthood. Delving into the politics of this issue in more detail gives reason to suspect that this was a contrived excuse by Susan G. Komen when the real issue involved giving into political and financial pressures. Specifically, the founder of Susan G. Komen is Nancy Brinker, who has long-standing connections to the Republican party, served as an Ambassador for George W. Bush, donating money to the Republican party (including George W. Bush’s first presidential campaign), and partnered with the policy-making branch of the George W. Bush presidential library. In fact, the decision to cut off funding to Planned Parenthood was made soon after the latter partnership was established. To make the situation even more politically interesting, the leader of Planned Parenthood is Cecile Richards, who was the daughter of former Texas Democratic governor, Anne Richards. Richards is widely remembered for ridiculing George W. Bush when he ran against her for governor. Thus, it is not much a stretch to imagine that a condition for partnership with Susan. G. Komen (which is worth 3 million dollars and is funded by Merck, a known campaign donor to current Texas governor, Rick Perry) could have been dependent on defunding Planned Parenthood. Susan G. Komen has denied that their decision has anything to do with politics, which is hard to believe, and this brings me to my last point. If Susan G. Komen truly wanted to defund Planned Parenthood because they did not want to support a group that also funded abortions, that is well within their right to do. Planned Parenthood has to understand that when they fund both non-controversial healthcare services and controversial services, that the non-controversial services will suffer funding cuts from organizations who are pressured to stop contributing to them. Separating these services into different groups would at least prevent this problem from occurring, regardless of one’s position on abortion. In cases where funding is cut off, it is misleading to paint the organization that cuts the funding as creating barriers to women’s health because the problem would not exist if Planned Parenthood did not simultaneously fund controversial and non-controversial health services. They are within their right to do so, but it will cause problems as a result. At the same time, it is not a mystery that Planned Parenthood pays for abortions. Thus, if another organization is truly opposed to abortions, they should simply not make a contribution in the first place. Once an organization makes a contribution and then stops contributing after known pressure and associations with opponents of Planned Parenthood, the decision is going to appear politically and financially motivated even if by some chance it was not. 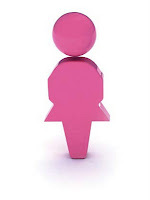 Interestingly, due to political pressure (particularly on social media), Susan G. Komen announced a restoration of funds on 2/3/12. Komen had successfully been cast as an organization not committed to saving women's lives and did what they had to do to reverse what had become a public relations nightmare. This is an excellent case study on how politics on both sides of the aisle affects women's health care.